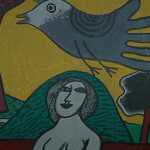 Corneille (Guillaume Cornelis van Beverloo) (1922-2010) is a Belgian artist, who studied art at The Academy of Art in The Netherlands. 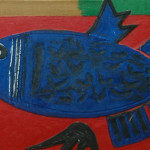 He was involved in starting the art group Reflex in 1948 and the following year he helped to start the CoBrA group. 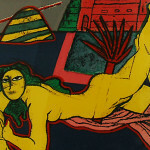 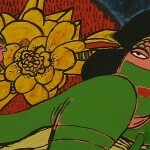 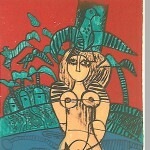 CoBrA had a strong influence on modernism in the years to come. 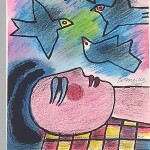 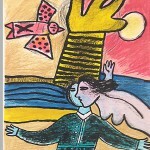 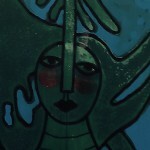 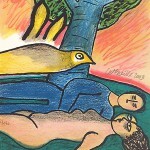 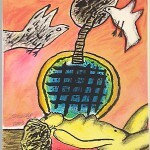 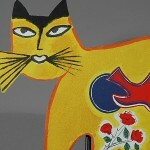 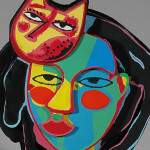 Corneille’s art operates in everyday life sphere. 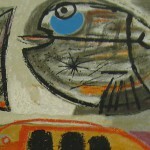 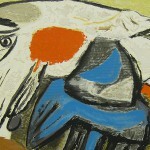 From 1970 Corneille worked with a strong graphic simplicity. 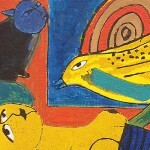 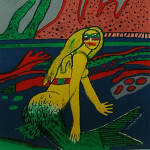 The bright colors, the defined contours and motives as women, birds, cats, suns, trees and plants are easily recognizable. 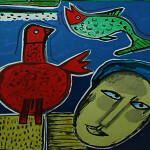 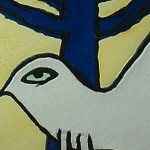 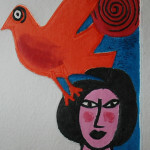 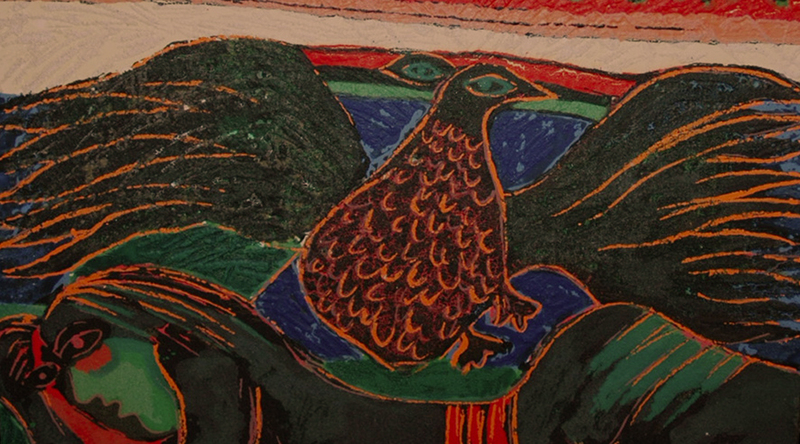 It is a narrative symbolism that evokes memories folk art of the past.